When eager design student George Heaton and his brother Michael decided to print logos on T-shirts for a college project, they could never have predicted that one day megastars would be wearing their clothes. 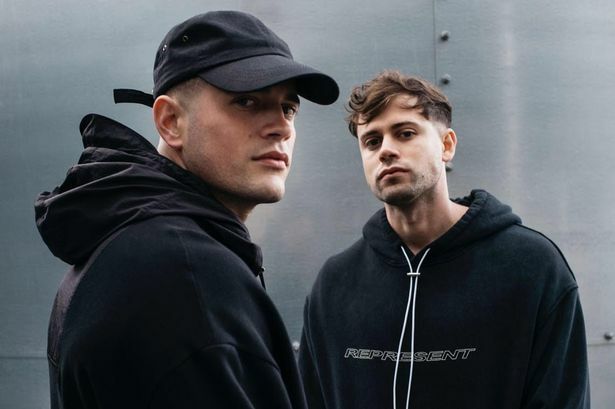 But that’s how things have panned out for the down-to-earth pair behind streetwear brand Represent, who are favoured by the Kardashians, Dua Lipa and Justin Bieber. Inspired by retro Mancunian designs the brothers now showcase their ranges, from T-shirts and hoodies to trainers, at top fashion destinations worldwide, including New York and Milan. And with an enviable celebrity following which has boosted the brand’s visibility they are on track to turn over £10m this year. The naturally cool pair, from Bolton, welcome me in to their local headquarters at Enterprise Park to piece together their rise in fortunes - starting with a chance encounter. 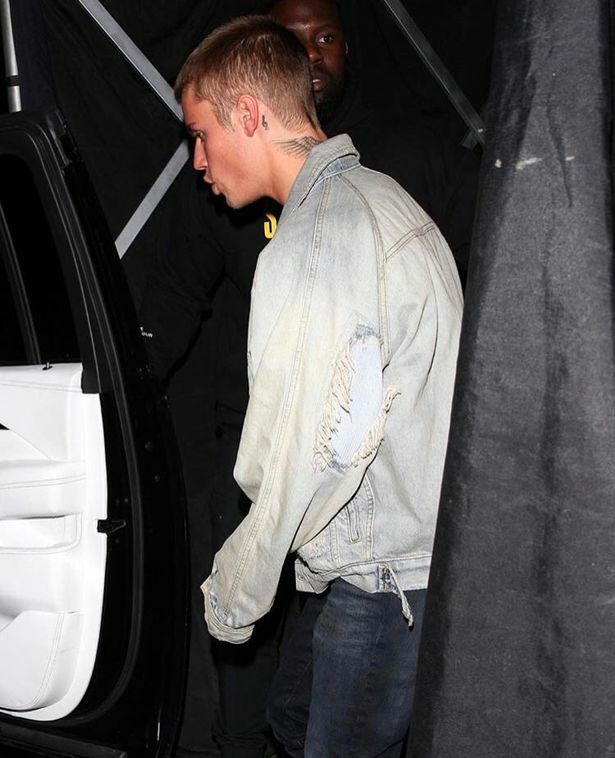 “We actually met Justin Bieber at Tattu in Manchester, which was quite strange” says George, 25, casually. Calling the experience ‘a surreal moment’ the younger sibling recalls how the pop star complimented them on their Represent attire during a night off from his 2016 world tour. 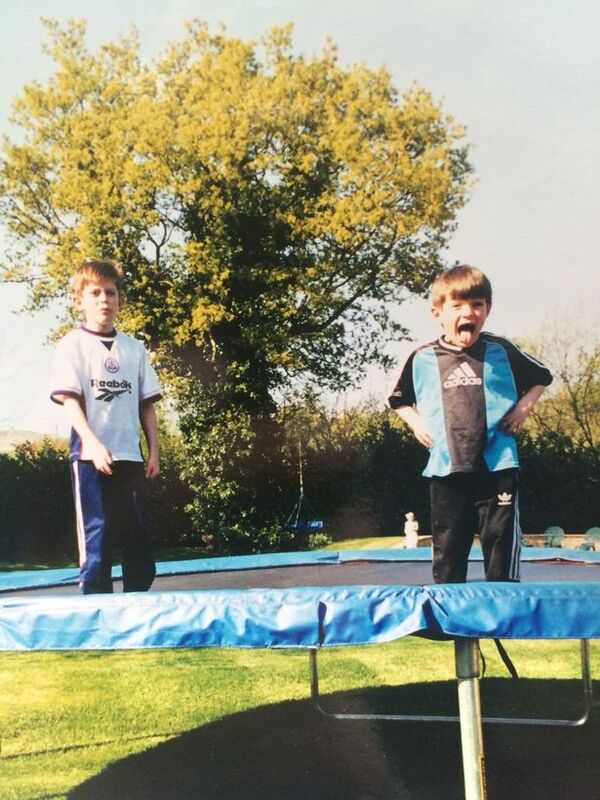 “He said that he loved what we had on and asked if we could take some clothes to the house he was renting in Cheshire while he was in town doing some gigs. Surrounded by mood boards and dressed all in black, the siblings certainly look the part of two fashion entrepreneurs - but it turns out they never planned to go into commerce. Natural talker George takes the lead: “We didn’t have any desire to go into business from childhood. Having both fostered a natural talent for art, they studied graphic design at Runshaw College, in Leyland, and then the University of Salford. Despite helping their dad with a family venture selling vehicles in Wigan, the boys aspired to do something else. “It was good sales experience but I wanted to be more like one of the guys who owned brands,” said George. And so the Represent seed was sown. “I was still in my last year of college and the brief was to create something that would sell,” he continues. 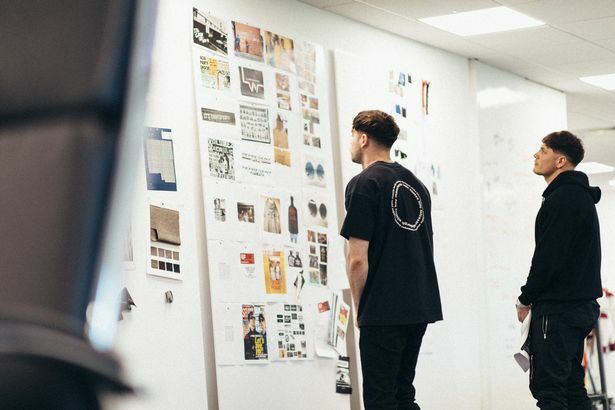 Inspired by the streetwear boom taking America by storm, with brands like OBEY and Diamond Supply, the brothers took a punt printing on T-shirts as a good way to sell their art. Starting out with £150 they made 25 Represent t-shirts, via a print shop in Cardiff, and sold them to friends. This turned into 50 for the next run as they were bought by friends of friends thanks to a basic website, which now receives five million visits per year. Looking back to 2012, I ask what Represent meant as a brand. The boys plugged away at their fledgling firm by marketing their clothes through newly-launched social media platform, Instagram. “It meant we didn’t have to spend anything,” George enthuses. In 2013, the siblings pushed on with plans to grow the business, hiring an accountant and opening a bank account. But it was physical space they were lacking, having set up a base in the garden shed with nothing but a wireless router and their initial stock. Laughing, they tell me the venture soon took over the family home, in Horwich, expanding into the kitchen cupboards. "It was taking over but our parents loved it because we were doing well for ourselves and that’s all they ever wanted for us,” says the younger sibling. Feeling more determined than ever, the pair turned their attention to making garments, as well as printing on them. They progressed from ‘cheap stock fabric’ to exploring pattern cutting and developing their own fits - with a bit of guidance from their grandma, Sylvia. The former tailor, who used to make the boys matching outfits when they were young, helped create their first fit of denim, which went on to be a big hit with consumers. After learning how to make the garments, they hired a pattern cutter via Instagram and sent the clothes off to be made at a factory in Birmingham. 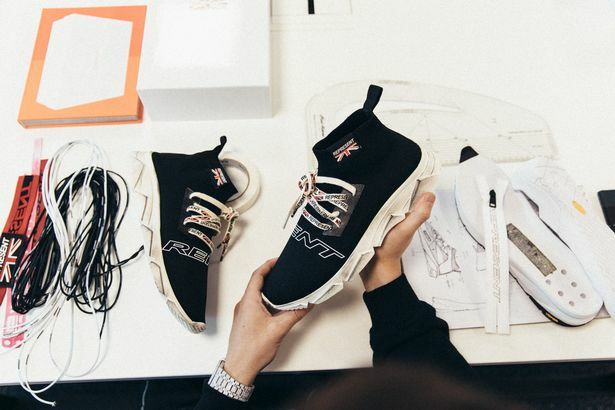 At the time, Represent was doing around 60 units there, now they are responsible for 90% of the factory’s production and make around 30,000 units each season. Things were on the up, with growing sales and a warehouse space secured so they employed six childhood friends to allow the siblings to focus on design. “It was really scary growing the business because we had always held back on employing people,” admits George. It also created a less corporate environment for the brand to flourish. With the extra capacity, they developed seasonal collections which started getting massive traction in America and Europe on social media. The wholesale side of the business also took off, which now accounts for 35% of their annual turnover, and people started taking notice. With an improved website and wholesale orders flooding in from overseas, retailers started to approach Represent about stocking their British-themed designs. “A small boutique in the Netherlands were the first to approach us, they started stocking our denim and they couldn’t sell it quick enough. 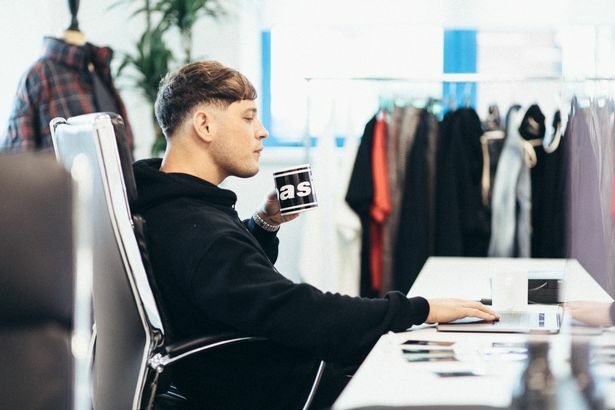 The streetwear brand has sold around 500,000 pieces to date with prices ranging from £90 for a T-shirt to £300 for outerwear and trainers. 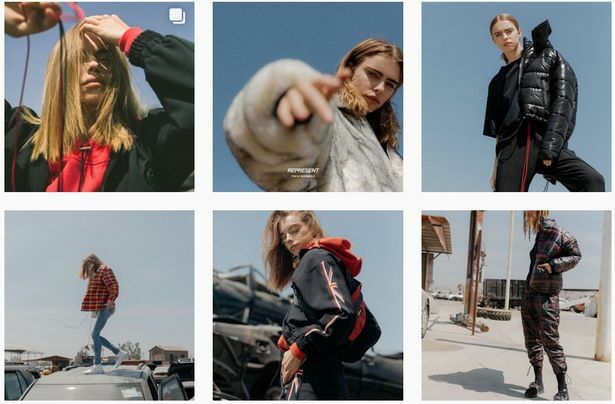 They have also launched a womenswear range for Spring/Summer 2019 with a full collection of 60 pieces going in to 20 stores which they are currently seeding out to celebrities. Michael puts their popularity down to their unique position between the usual brackets as ‘the quality is high fashion but the price point is cheaper’ with a quick turnaround time. Turnover has leapt from £1.8m in 2014 to £8m last year as the likes of Harvey Nichols and Selfridges started to sell the brand which has now been picked up by 160 stockists. “It was a dream to be in Selfridges two years ago as it was something we had always wanted but we never chased anyone, we wouldn’t want to come across like that. Teasing that it is a very laid-back attitude, the younger sibling adds: “I think it is the right attitude, you shouldn’t have to push anything you should just let it happen naturally. I like this self-confidence and the fact that it is visible in their designs which are unapologetically British. The gritty Mancunian spirit is also recognisable with nods to the Hacienda days, rave culture and 90s Britpop. “We identify as being from Manchester and we use the British flag a lot in our designs. “It is part of our story as a brand and people really identify with that around the world,” George explains. Retaining that national and local pride is an important element to the co-founders who say they are proud to be British and aim to pay homage to their area. 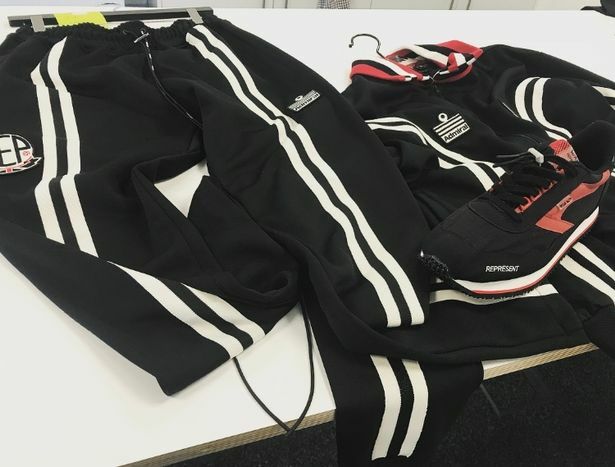 This includes collaborating with the likes of Salford-based sportswear company Admiral, the retro sponsor of the England and Manchester United kits. 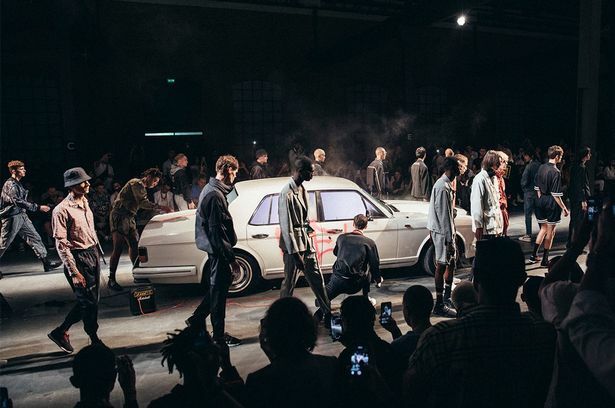 Their lifestyle has also dramatically changed with the brothers regularly taking off abroad to check out the latest Italian denim or attend trendsetting fashion shows. “Our family can’t understand it when we are all over the world - they will ring us and we will be at a trade show in Las Vegas or doing a month in LA,” jokes George. But the brand will always remain based here as ‘it keeps us grounded’ assures Michael - as they eye up Manchester city centre as a possible base for their design studio. With equal amounts of ambition and quiet enthusiasm, it’s a good time to pause on the brotherly dynamic of growing a business together. “It happened so fast that we didn’t have time to consider what it would be like working together,” smiles the younger sibling. Michael thinks it is because they complement each other in the skills stake. “We both call a spade a spade and if one of us doesn’t like something then we don’t make it, so it’s always worked in our favour. Having studied the same courses and started the business together the brothers also share a house and say they have never really been apart. “The company is growing fast which is why we are scaling the team up,” George continues.